In California, on the same day Sherri Papini was reported missing, so was another mother, Stacey Smart, and not very far from where Papini was abducted. Two mothers reported missing in the same region on the same day -- but where one woman's family now has some answers, the other has none. Sherri Papini's roadside abduction and sudden return weeks later made national headlines, a case one Northern California family believes may have overshadowed their own loss. But now Crime Watch Daily is on the case. We're retracing mother of four Stacey Smart's final steps before oblivion -- a search for answers to a mystery unsolved. The Weaverville, California native always made time for her family. Nicole Santos-Hamann says that in the weeks leading up to Halloween, her grandma, Stacey's mom, tried calling Stacey several times, but there no answer. The home phone had been disconnected. When Halloween came and went with still no word from Stacey, the family took action. There was one person Stacey's family hoped might know more. "She was living with her boyfriend, Tony Brand, at that time," said Nicole Santos-Hamann, Stacey's daughter. "She moved in in the beginning of this spring. She was with him for about six months." He was a local homecare worker and karaoke DJ. 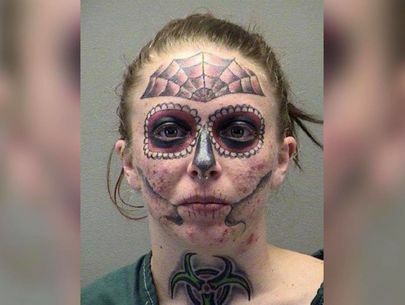 In Tony, Stacey seemed to have found her other half. "They both were very happy," said Melissa Smart, Stacey's sister. "She was telling me how awesome they were together, that she was happy and she was doing really good." "A month before she had gone missing, she did call my grandmother and she was crying on the phone and said that Tony had been cheating on her," Nicole said. The two reportedly patched things up. But roughly a month after that tearful call, Stacey was gone. And no one could seem to find Tony either. 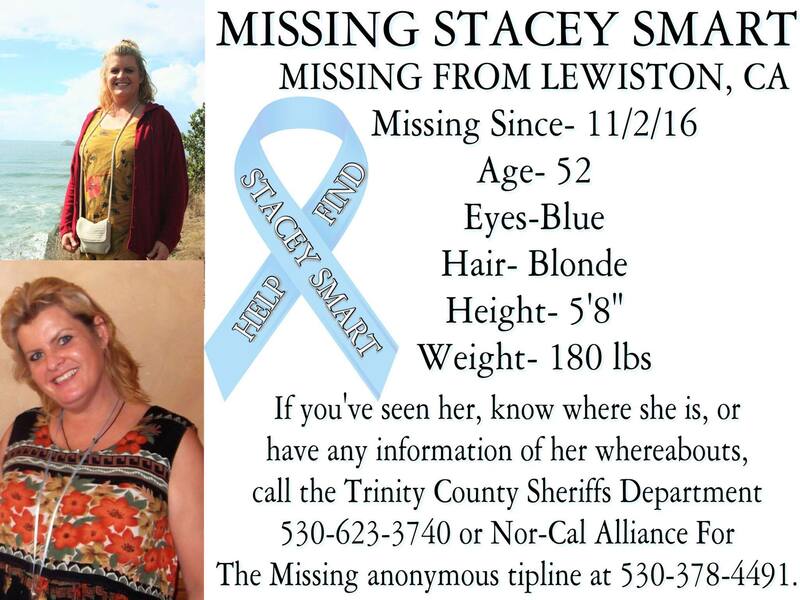 No one had seen Stacey Smart since October 15, 2016. "The neighbors, they went to a birthday party at their neighbors' house, and after this party one of the neighbors had seen Tony and Stacey fighting," said Melissa. "So from there I decided to file a missing-persons report," said Nicole. The date was November 2 -- the same day Sherri Papini disappeared less than an hour away. Stacey's family tells police what little they know, then begin their own investigation, hiring a private detective and doing everything they can to track down that "other" missing person. Nicole tells Crime Watch Daily that it was about a week after that that she got a hold of Tony Brand. "It was already the 8th of November, he was there, he was polite, he invited us in, he didn't say very much," said Melissa, Stacey's sister. But what he did say didn't sit right with Stacey's family. "How do you wake up one day and just not know where your live-in girlfriend is? And he's like 'I don't know, she left,'" said Melissa. Stacey's sister wasn't buying it. "I made a few phone calls to people that have contact with Tony and Stacey on a daily basis, and when they told me that Tony had told him that Stacey had moved out two weeks prior, so then I called one more person who had a daily contact with them, and he said that Tony had told him that my sister had gotten violent and he had to make her move," said Melissa. And when Stacey's daughter and son-in-law asked Tony about it, the story seemed to change once again. "Tony had said that she left several notes and that she was nearby and she had been back to his house several times," said Nicole. "I asked him if I could see the notes. He said he didn't know where the notes were." Growing more suspicious, Stacey's family asked to have a look around the house. "I made it down the hall and into their bedroom and the carpet was missing, an oval that was like cut out, and that was odd to me," said Melissa. "I took pictures with my phone." "We went out there with a team of forensic scientists to search the house," said Trinity County Sheriff's Deputy Joshua Ford. "I saw the patchwork rug carpet that they were talking about, but that's also been there for a significant amount of time, according to our sources, who personally knew Stacey and Tony. They had been talking about that, doing that together and coming up with a kind of collage of carpet, if you will, in that house. So that wasn't anything I particularly found peculiar." But as the last known person to see Stacey, police did bring Tony in for questioning. 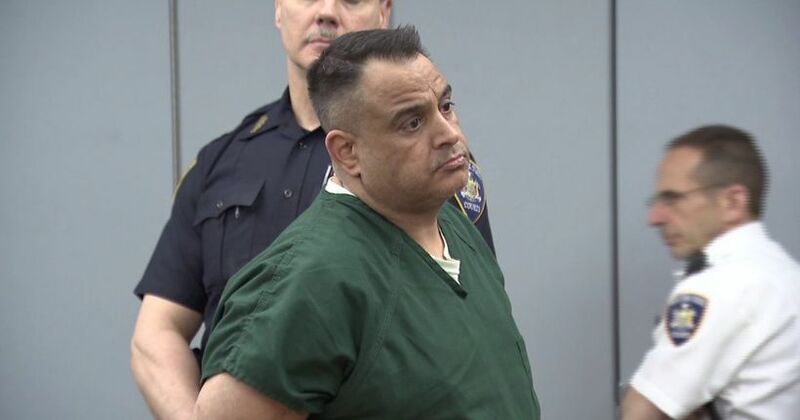 "The way he said it, that during their relationship at one particular point she had left, didn't give him any information that she was leaving, he started seeing another woman, then she came back and they rekindled their relationship," said Deputy Ford. 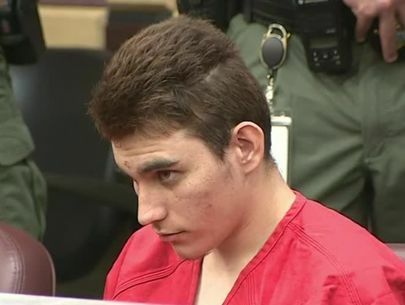 "He figured that's what happened to her again, and that's why he didn't think it was too terribly suspicious, because she had done it to him in the past." To Stacey's loved ones, the story seemed even more unlikely when authorities learn that the last time Stacey's bank card was used was October 16, the day after she was reportedly seen at that party with Tony. "In the beginning of the investigation he was asked to take a lie-detector test," said Mike Hamann, Stacey Smart's son-in-law. "He refused and said 'If I need to I will take one, but I need to have a lawyer,' and I pressured him on social media, and I said 'Tony Brand, I will pay for a lawyer for you to take the test. I'll raise up the funds, get a lawyer so you can take the test.' He agreed to take a test, he set up a time and date to take it." But when that time came? "Tony Brand never showed up for the test," said Hamann. Regardless of reason, refusing the test was Tony Brand's right, and with no evidence that a crime had even taken place, the family shifts its focus from pointing fingers to finding Stacey. "We hired a private search team," said daughter Nicole. "Within the week we had four public searches as well as numerous private searches, starting from the residence and expanding out from there." With cadaver dogs in tow, the search began, and at least 50 volunteers from the community showed up. By most accounts, other than the polygraph, Tony Brand did cooperate with the investigations, both police and private. "We were given written permission by Mr. Brand to go in and search the perimeter and the outside of the property," said Dr. Richard Brockwell, Canine Search and Rescue Team Maverick. Then, searchers centered their efforts around the nearby lake. Another false lead. Around that same time, search crews using sonar got what they believed to be their biggest hit yet. But the find was determined to not be human remains. For the family so desperately searching for answers, both relief and heartbreak. Police investigated the possibility Stacey did simply walk off, and even investigated a possible link between Stacey's disappearance and that of Sherri Papini's kidnapping, which happened just 45 miles away. "We've been in contact with the Shasta County Sheriff's Office and they've been in contact with us, and neither of have been able to drum up anything that would make it look like they were connected in any way, and on top of that even though she was reported missing on the 2nd, the same day as Sherri Papini, she had not actually been seen since October 15," said Deputy Ford. "I know that my mother would never leave her family without contacting us," said daughter Nicole. "I think that maybe an accident happened and there has to be somebody that knows something about her disappearance." Was Stacey Smart the victim of foul play -- or did she just run away with another man as her new boyfriend reportedly says? It depends on who you ask. Stacey's family isn't convinced that her boyfriend Tony Brand is telling police everything he knows, so Crime Watch Daily decided visit Brand to try to get answers to some of their questions. Crime Watch Daily met Tony Brand face to face, and he told us the only reason he wouldn't talk to us on camera was because his lawyer advised against it. Tony Brand was very respectful. He let us inside. He talked to us for quite a while. We spoke to his attorney on the phone. When it comes down to it, they just want to do this in a written statement. His attorney said he is grieving just like the family. "Tony was in a loving, intimate relationship with Stacey, which ended with as much mystery to him as anyone else. 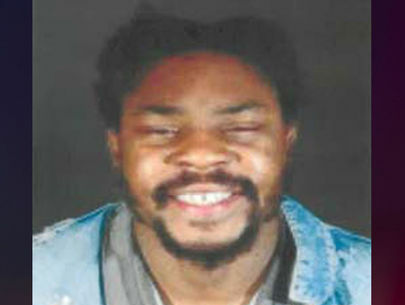 He has cooperated fully with the investigators in this case and is as afraid for Stacey as any of her other loved ones." -- Douglas L. Gardner, Tony Brand's attorney. "At this particular point, with the information we have, nobody's been cleared so everybody is a person of interest," said Deputy Joshua Ford. "But naturally being the last person that we have confirmed to have seen her, you know, we're obviously looking into that angle as well." "Besides the polygraph, he's cooperated," said Ford. "He allowed us into his house on multiple occasions prior to us even going there with a search warrant. 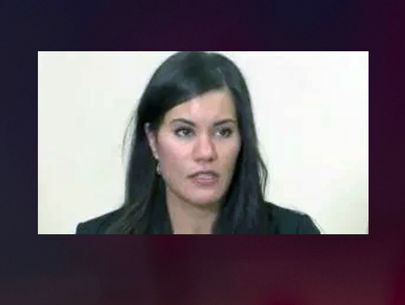 He's been cooperative up until that point of the polygraph." At this point, Deputy Sheriff Ford tells Crime Watch Daily that authorities aren't even completely sure what kind of case they have. Do they think there's foul play involved with Stacey Smart's disappearance? "To be honest with you, I can't rule it out and I can't say that it happened for sure with the information we have at hand, so we're looking at all possible angles," said Deputy Ford. "There is actually some circumstantial evidence that the sheriff's office has drummed up. We're working on several different theories in regards to that information, but I'm not at liberty to discuss that either," said Ford. "I am hopeful that either we find Ms. Smart safe and happy and with a reasonable explanation for why she disappeared, and if that's not the case I am anticipating an arrest," said Deputy Ford. Stacey Smart is 52 years old. She stands 5 feet 8 inches tall, weighing approximately 180 lbs., with blue eyes and blonde hair. If you know any information about where she might be, contact the Nor-Cal Alliance For The Missing anonymous tip line at (530) 378-4491, or visit the Facebook page. 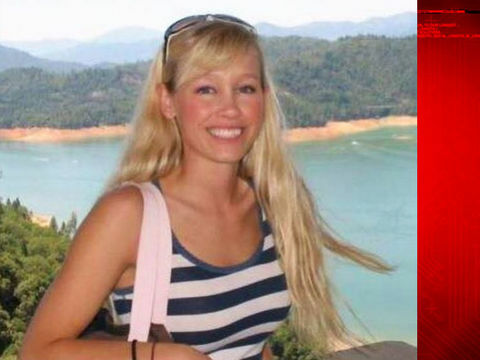 Sherri Papini, a Shasta County woman missing for three weeks, has been found alive. Female joggers attacked across U.S.: Single assailant or random acts? Is it open season on female runners? It seems like a nationwide epidemic.